What to do in Gargano, Italy (Apulia)? How many days to visit the Gargano National Park? Visiting the Gargano National Park, in the North of Apulia, is to discover the largest National Park of Italy . Whether you prefer hiking in nature , relaxing on the beach , visiting villages, the Gargano, between sea, mountains and forest, will please everyone! 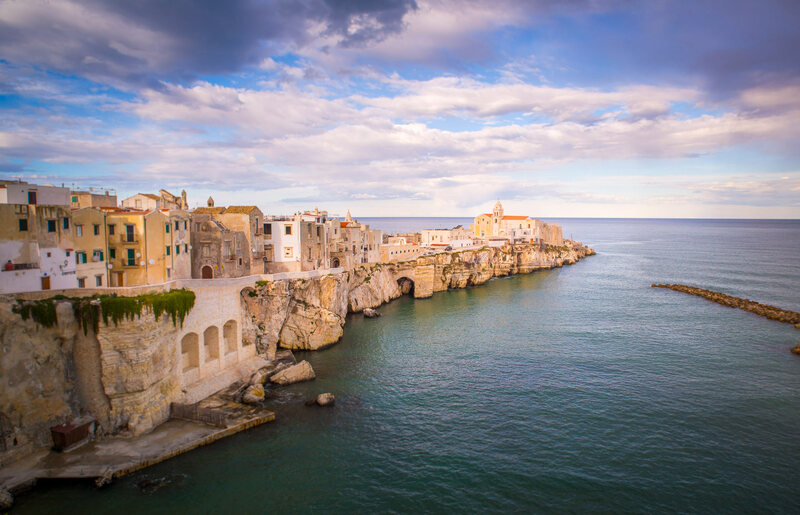 Among the main attractions of the Gargano, visit Vieste and Peschici , take a boat ride or Foresta Umbra , climb to the hilltop village of Monte Sant’Angelo or spend a few days discovering the Tremiti Islands. 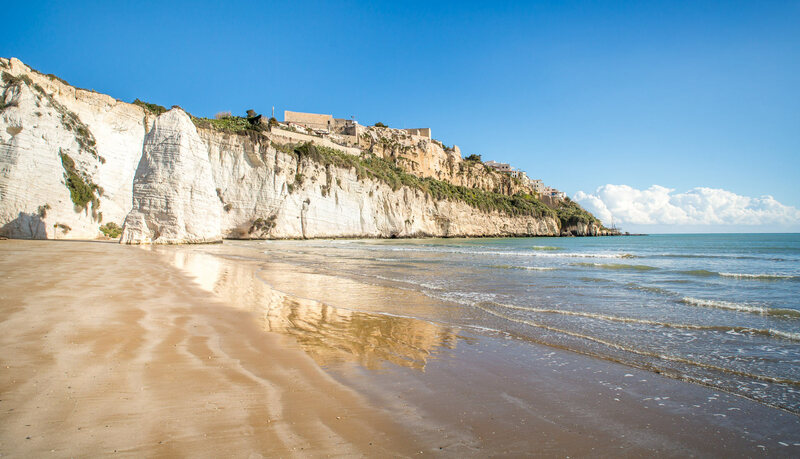 With our Top 10 things to do and see and our suggested routes to visit the Gargano in 1, 2 or 3 days, you can make the most of your stay in Puglia . You will also find, at the end of the article, our selection of the best hotels and holiday villages located in the Gargano National Park. Ideal to know where to sleep according to your budget! Whether you arrive from Bari , Trani or Matera , you will inevitably start your stay, passing through Manfredonia . It is one of the biggest cities to visit in Gargano, it marks the gateway to the national park. The Swabian-Angevin castle: it now houses the National Archaeological Museum, recognized for its collection of Daunian stelae , tombstones dating from the VI and VI century BC. The museum is not free but you can go around the castle and walk on the ramparts for free. The promenade offers a beautiful view of the beach and the sea. From Manfredonia to Vieste, the coastal road is particularly beautiful with many views of the sea and coves where to swim. Take your time to browse it. 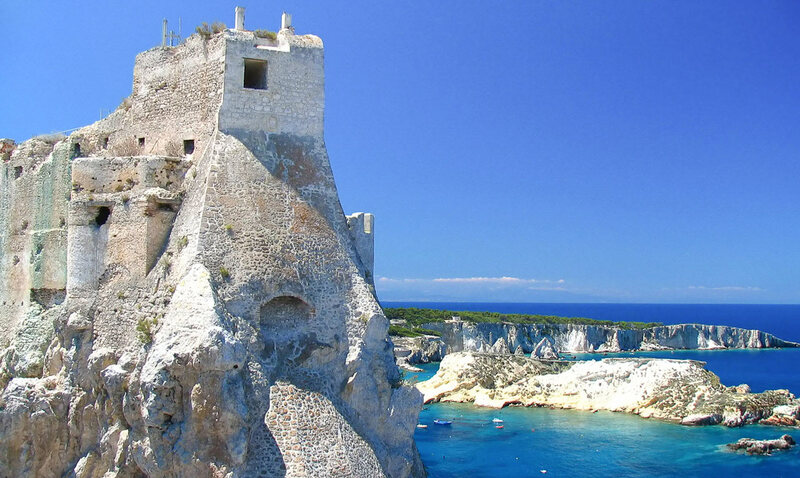 The beautiful town of Vieste is the must-see tourist spot during a trip to Puglia and a visit to the Gargano. Located east of the promontory of Gargano, Vieste is often preferred as a starting point to visit the park . The many places of interest that I mention in this article, are indeed, easily accessible by car from the city. It is therefore the ideal place to visit the Gargano National Park. Vieste is famous for its historic center and its charming little streets where it is good to walk. 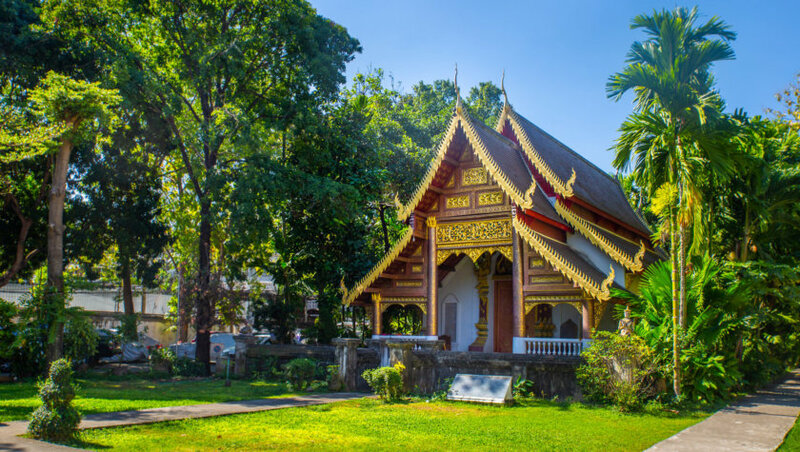 There you will find small craft shops as well as cafes and restaurants. Overlooking the sea, the old town offers beautiful views of the coast. 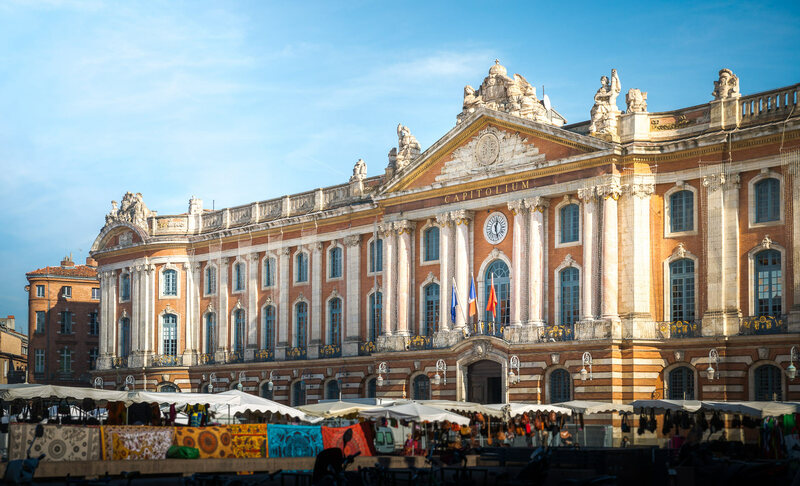 During your visit, the two historic buildings not to be missed are the castle built by Frédérick II and the cathedral, dedicated to Saint Marie de l’Assomption. If you visit Vieste with your family, you can also take your children to the Malagologico Museum . Small but very interesting, it has more than 10,000 shells, corals and fossils . It would be a shame to deprive yourself, the entrance is free. But the emblem of Vieste, remains the famous Pizzomunno . This huge rock 25 meters high is located at the entrance of the city, on the main beach. Very photogenic with the old city in the background, it is found on all the postcards of Gargano! According to legend, Pizzomunno was a handsome young man very much in love with his beautiful Cristalda. The mermaids being very jealous of the happiness of the couple and failing to seduce Pizzomunno, removed Cristalda to sequester her at the bottom of the sea. Not being able to find her, crazy with grief, Pizzumunno changed into petrified rock! Little glow in the heart of tragedy, every 100 years, lovers are entitled to a night for them. If you are looking for something to do in Gargano and you like to go hiking, the Foresta Umbra is the place for you. It is undoubtedly one of the most beautiful places to see in the park. The Umbra Forest is a protected nature reserve located in the heart of the Gargano National Park. 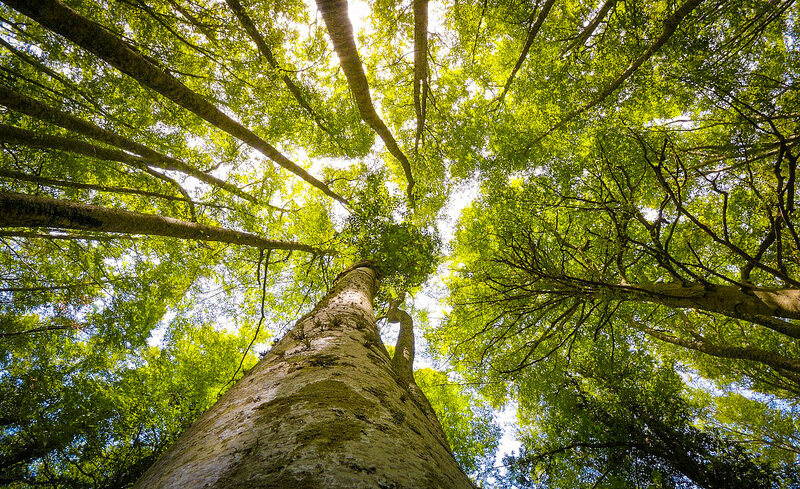 It is considered the largest hardwood forest in all of Italy. The name “Umbra” characterizes its thick and dense vegetation, which prevents light from entering. It is famous for sheltering a very rich fauna and flora . If you are there between April and the end of May, you can also admire the wild orchids of Gargano . The forest has more than 85 different species and is home to the most varieties in Europe. Botanists come from all over the world to see them! The best way to discover Foresta Umbra is to walk it. Many trails (about fifteen), more or less difficult to walk around. I recommend you stop at the visitor center to get the trail map, it costs about 2.50 €. Plan your picnic, there are several furnished areas and barbecues are even allowed. The Visitor Center also rents mountain bikes if you want to try out a new sporting activity. Even with the map provided by the Visitor Center, it is quite easy to get lost or go wrong in the Umbra Forest. It is not necessarily well indicated or marked. Allow more time than expected so you do not get stuck in the forest for a night! After Vieste, I recommend you to go to Peschici, another typical village . 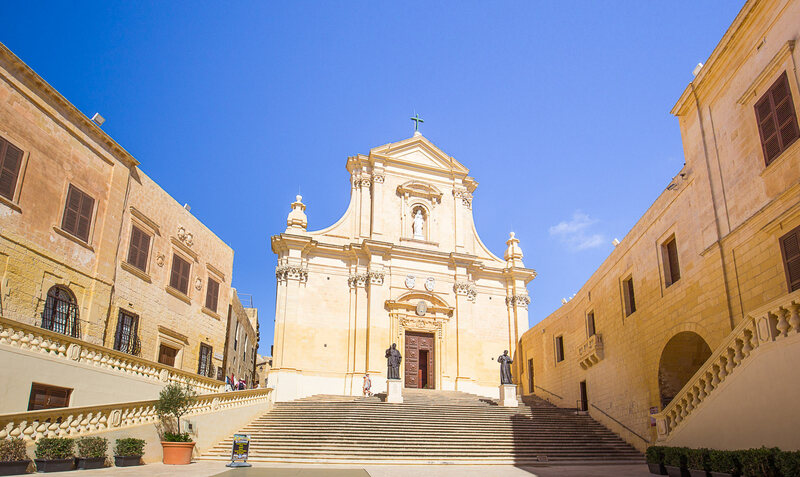 Peschici has a beautiful historic center with narrow streets and houses with whitewashed facades. 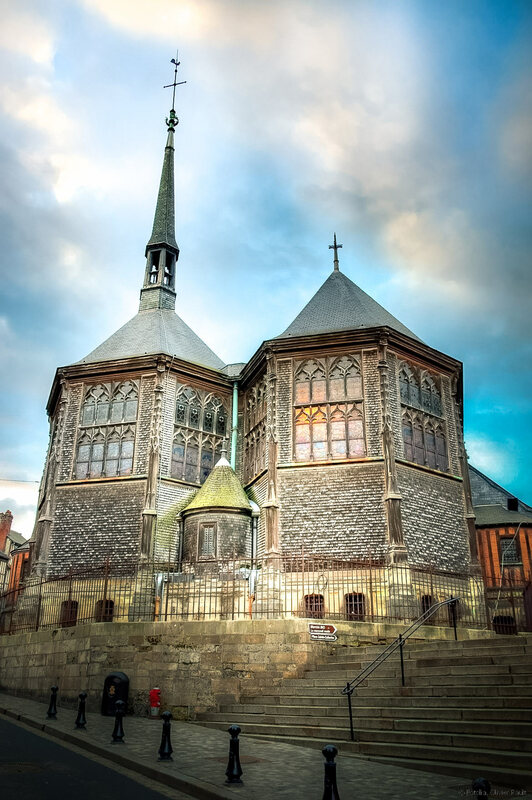 There are some churches to see but not really iconic monuments to visit. You can walk to the castle which offers a panoramic view of the beach and the coast of Peschici. Peschici and its surroundings are best known for harboring some of the most beautiful beaches and coves in Gargano . These include Zaiana Beach, Cala Beach and Procinisco Bay Beach. With your swimsuit and sunscreen, you’re ready for a sunbathing and swimming afternoon. It is also in the vicinity of Peschici , that you will be able to see a rather particular construction: a trabucco. Positioned on rocks by the sea, the trabucchi are a very ingenious system of ropes and pulleys connected together by wooden poles and a platform supporting a net, used for fishing. Typical of the region, it is now one of the emblems of the Gargano. Tourism requires, some of them are now converted into rustic restaurants where you can enjoy delicious fresh fish. Among the most beautiful places to visit in Gargano , take a tour through the village of Vico del Gargano. This charming medieval village in the heart of the park is one of the most beautiful villages in Italy. Narrow streets, stone houses, authenticity and calm reign in the village. The kissing lane (Viccolo del Bacio) nicknamed this because the passage is so narrow that you will be obliged to stick to your lover! The multiple churches: the Chiesa of Santa Maria Pura, the church of Purgatorio, the church of San Giuseppe, the church of San Domenico or that of the Misericordia. Vico del Gargano is nicknamed the “City of Love” because the patron saint of the city is San Valentino, meaning Valentine’s Day!But as it is also the patron saint of citrus groves (the main source of wealth in the region for centuries), every year, in February, Vico adorns itself with its finest citrus decorations. If you have gone around the land part of the park and are wondering where to go in the Gargano National Park, I highly recommend spending a few days exploring the Tremiti Islands. The Tremiti are part of the protected marine reserve of the Gargano National Park . To get there, you can take a boat from Rodi Garganico, a town located north of the park, between Peschici and Lake Varano. Count around 40 € for 2 people and 1h30 of journey. Departures are also from Termoli , located after Lake Varano. 1h25 drive for 45 € minimum. And if you want to have a little fun, you can also join the Tremiti Islands by helicopter! Departures are from Foggia but of course the rates are a bit higher than for a ferry crossing. Nicknamed the “Pearl of the Adriatic”, the Tremiti Islands are 5 islands renowned for their splendid natural landscapes and turquoise and translucent water. San Domino: the largest and the most touristy. It has a unique sandy beach, very quickly stormed. The main activity here is to go on a boat trip to discover the sea caves. San Nicolas: the only one of the Tremiti Islands to be inhabited both summer and winter. 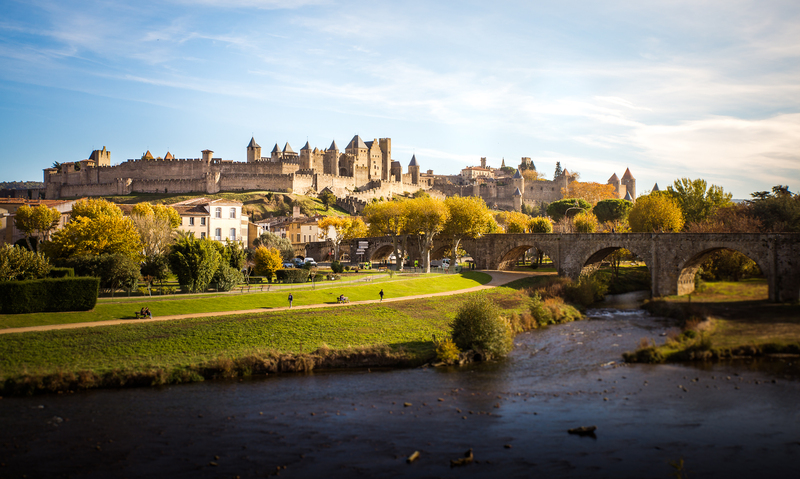 With its castle and the Abbey of Santa Maria, it has a less touristy and more historical side. Capraia: creeks and limpid water on the program! It is also known for its beautiful scuba diving sites. Cretaccio: a tiny island that holds more of the big rock! To visit the Tremiti Islands, you can opt for a day boat trip that will take you around. A time is usually scheduled for swimming. To move on the islands , you can also rent a bike, a scooter or a quad . Cars are strictly forbidden except for residents. Avoid the months of July-August to visit the Tremiti Islands, the beaches and coves are crowded and the prices fly away at the accommodation level. Lake Varano is one of the key destinations of a holiday in Gargano. And yes, because in addition to the forest and the sea, there are also lakes in the national park! Lake Varano is one of the largest lakes in southern Italy . The bird lovers will find their account as they will be able to observe many birds like the flamingo, herons or cormorants. You can also see the eel fishermenat work on their sandali, typical boats of the Gargano. The best way to have the most beautiful overview of Lake Varano is to opt for a boat trip. It is at sunset that Lake Varano takes on its most beautiful colors. If you come to visit the Gargano, it is also to go to the beach and enjoy it to relax and swim. Some beaches and coves are beautiful with calm and translucent water , ideal for swimming. However, many are private only and access is only possible if you are a resident of the holiday village or campsite nearby. Others are also accessible only on foot , down paths below the road. We were also a little surprised because most of the time, they are not really well indicated and there are no dedicated car parks and therefore very few places to park. When visiting out of season, we did not have any problems, but in July-August it can be a bit more difficult. That’s why if you only want to go on vacation to the Gargano for its beaches , I advise you to book a hotel or holiday village with private access. On the practical side, you will not have to take your car and look for a seat either. You will find my suggestions at the end of the article. Baia della Zingare, only accessible on foot by a path of about 15 minutes. Pebble beach about 1km long surrounded by cliffs. The beach Vignanoteca, a beautiful sandy beach also within walking distance. A beach of Gargano, ideal place for swimming! 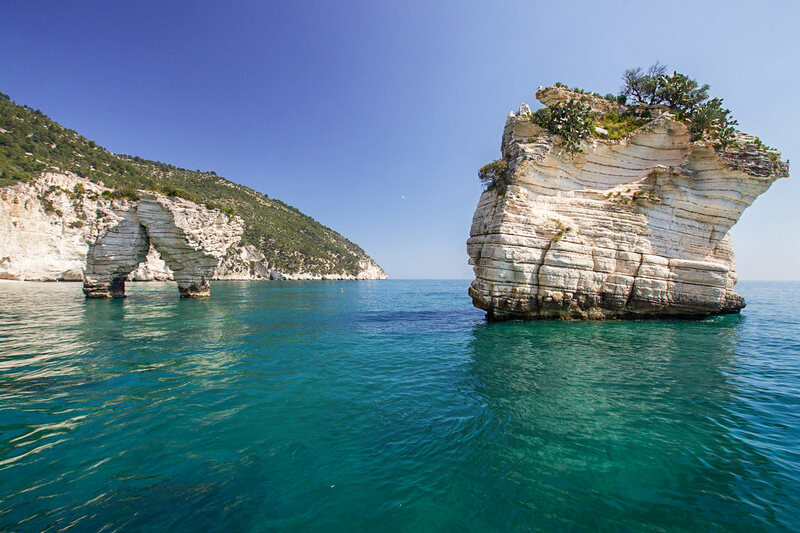 If you do not have seasickness, one of the must do activities in the Gargano National Park is a boat trip to discover the sea caves. The most popular is the one from Vieste every day, one in the morning and one in the afternoon between April and October. Count about 3 hours of visit for 25 € per adult and 10 € per child. You will visit the most famous marine caves in Gargano Park, such as the Tomato Cave, the Smugglers Cave, the Cave of the Two Eyes or the Broken Cave . You find the names a bit farfetched, go ask the fishermen, they are the ones who named them! Dug by the sea and the wind, they are all unique and are worth a visit. If you wish, you can also rent a boat by the day to make your own program and enjoy some coves only accessible by the sea . In high season, this may be a good solution for finding quiet places to swim. For small boats and zodiacs, no need for a boat license. This guide to things to see in the park of Gargano , would not be complete without me talking about Monte Sant’Angelo. The village is perched 800 m above sea level and accessible by a long winding road but offers great views of the entire national park. It is one of the oldest and most important religious centers of Gargano . It is from here that Via dei Longobardi left, a sacred route from Spain to Jerusalem that served to link religious sanctuaries. Many pilgrims have borrowed it over the centuries. 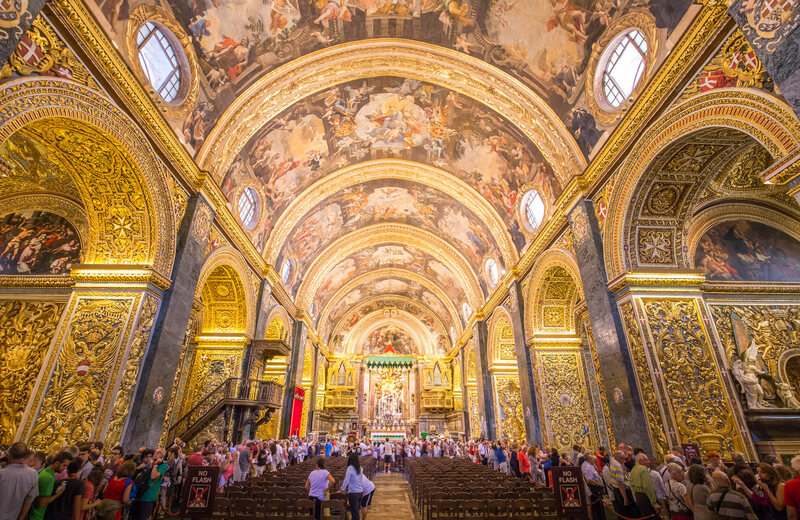 The must-see place in Monte Sant Angelo is the sanctuary of the Archangel Michael . As a UNESCO World Heritage Site, the cave was dedicated to the request of the Saint himself, who wanted a place of worship to be built there. The cave will become a place of pilgrimage for many Christians. The sanctuary is located in the district of Rione Junno , the oldest of Monte Sant Angelo. Stroll through the alleys and watch the houses piled one on top of the other and connected by stairs. 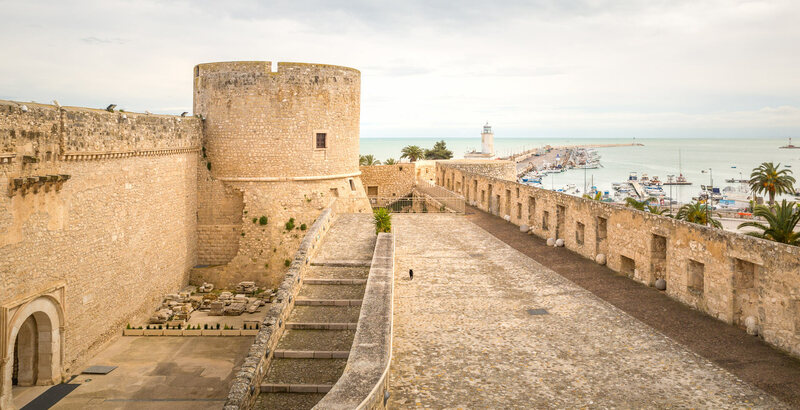 In addition to the cave, you can also visit the Norman-Swabian castle to enjoy an extraordinary panorama of the whole Gargano to the Gulf of Manfredonia. Well I prefer to warn you anyway, given the situation of the village, it can happen that the view is a little blocked by the mist. the baptistery of San Giovanni in Tumba, also known as the “Tomb of Rothari”. I advise you to plan 4 days to visit the Gargano Park. The distances may seem short but the roads are narrow and winding , so it will take longer than expected. And then there are plenty of photo stops to take to admire the beautiful views below, which will extend suddenly on your day. The same if you want to swim in an isolated creek accessible only on foot. If you want to add a little more hiking or a stay in the Tremiti Islands , you can of course spend 5 days, or even a week in Gargano. You can follow it to Vieste , about 1h10 drive. On the road, there are many stops to do to admire the landscape. Visit Manfredonia , at the exit of the Gargano National Park, if you have time. If you have 4 days vacation in Gargano , go for a day trip to the Tremiti Islands! For a family holiday with your children or friends for your holidays in Gargano, I recommend you to choose an apartment. You can eat and there is more space for everyone. They are also located in residences with swimming pool, which is nice to cool off! Villagio Idra: Located 5 minutes drive from Vieste, in the countryside. This property offers several small duplex houses. Fully equipped apartment with 2 bedrooms, sitting area, kitchen and large private terrace with garden furniture from 60 € per night. Most: the sea view, pool and jacuzzi, barbecue available, free private parking. Ideal for a family holiday in Gargano! Residence Torre del Porto: Located in Mattinata, a 5-minute walk from the beach. The residence offers well equipped and spacious studios and apartments with terrace or balcony from 80 € per night, breakfast included. Most: quiet location, warm welcome, beautiful and large pool. Residence Montelci: Located between Mattinata and Vieste. This residence offers 1 to 3 bedroom apartments for up to 6 people. The units are equipped with a kitchen and have a patio. From 90 € per night, breakfast at 5 €. The most: the magnificent view of the sea and the mountains, the pool, the welcome smiling. If you are traveling as a couple , here is my selection of hotels for a romantic stay in Gargano . Most of them even offer free access to the private beach with deckchairs and parasols available. Isola dei Sapori Boutique hotel Restaurant: Located right by Lake Varano and a 3-minute walk from the beach. This hotel is brand new, the double rooms are comfortable and bright. From 65 € per night, breakfast included. Most: free beach umbrella and sunbeds on the private beach, the location in the natural area, excellent service. Hotel Boutique Il Castellino Relais: Located 1 minute walk from the beach and 15 minutes from the center of Vieste. Spacious and bright double room from 80 € per night, breakfast included. For this price, you will even get 2 sunbeds and a free umbrella every day on the private beach! Most: swimming pool, tennis court, hearty breakfast. This is our favorite for its benefit / price ratio! 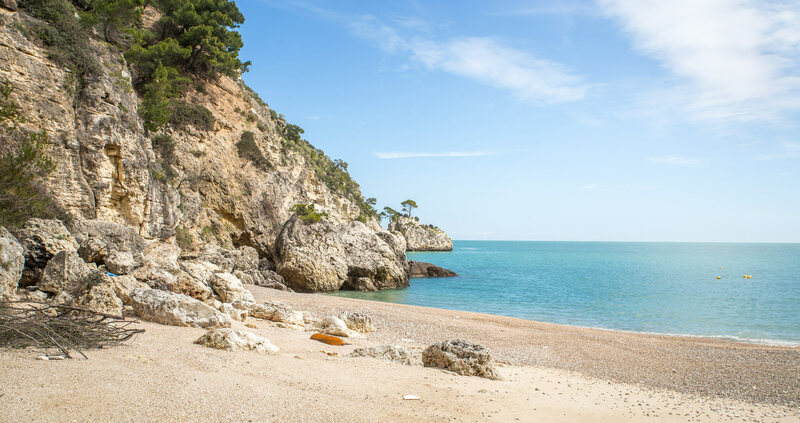 Relais Viesti: 5 minutes walk from the beach and 5 minutes from Vieste Castle. Double room design and refined with a huge shower from 100 € per night, breakfast included. The most: the availability of the owners, the excellent breakfast, the setting and the decor of the rooms. For lovers of holiday villages with swimming pool, playground, entertainment and restaurant , I have selected the best. Club Vacanze Viestemare: Located in Vieste, a 10-minute walk from the beach. Studio with kitchenette from 45 € per night, breakfast included. The most: the beautiful swimming pool, access to the private beach, free transfer to the beach, the SPA, ping-pong table, free bicycles available. Village Baia Turchese: Located in Vieste, right in front of the beach. Double room or bright and comfortable apartment from 50 € per night, breakfast included. Most: football field, basketball court, tennis court, swimming pool. Villaggio Club Degli Ulivi: Located between Vieste and Peschici, 300 m from the beach. All units feature a kitchenette, terrace with outdoor furniture and BBQ facilities. From 60 € the night. The most: the playground for children, the animation team, shuttle to the beach. Villaggio San Matteo Resort: Located 200 meters from the beach, in Mattinata. Double room or apartment with balcony or private terrace from 70 € per night, breakfast at 12 €. Most: the pool, entertainment, 2 restaurants, attentive staff. From Bari: Approximately 1 hour 40 minutes to reach Manfredonia (Gargano entry point) and 2 hours 35 minutes to Vieste. From Trani: 1 hour 15 minutes to Manfredonia and 2 hours 10 minutes to reach Vieste. From Foggia: Only 40 minutes from Manfredonia and 1h35 from Vieste. So, visit the Gargano during your trip to Italy, do you like it? Check out all our articles about Apulia : All BonAdvisor articles about Apulia are listed here.